A portrait of one of Scotland’s best loved composers, West End resident Eddie McGuire, from Scotland’s leading contemporary music group. A familiar figure around the West End, Eddie McGuire is one of Scotland’s most well known composers. Also a well-known traditional musician (Eddie is a member of trad group The Whistlebinkies), he has written music that has been performed by all of Scotland’s major orchestras and ensembles, as well as by internationally known figures including Yehudi Menuhin. 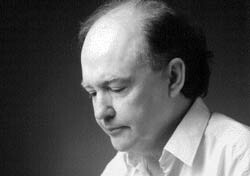 Red Note’s programme profiles Eddie’s music with works that span his composing career, including the beautiful Elegy and his seldom performed Quintet 2 for flute, clarinet, violin, cello and piano.